I need a new show! ;D Sorry guys! I don't care much about the genre, but I do care about the couples and characters so my favoriete couple, female character and male character (in that order) from each toon are in the brackets To make it easier I've spleet, split shows I adore into groups. I'm sort of a televisie junkie ;P It's a horrible, horrible habit! Here's a suggestion, not that there's anymore that I've seen. Try Painkiller Jane, there's only one season but the pilot was amazing. And the only other I can think of is Eastwick, it's a new toon based off an old miniseries. There's only seven of so episodes so far, and it's on it's first season. Also, try Joan of Arcadia. Right now it's my favourite toon volgende to Gilmore Girls and Dollhouse. Ok so I actually like a lot of the shows that u have listed. If I was going to suggest shows with great acting, characters, and couples it would be Dark Angel. I loved that show. u can get both seasons on DVD for like 20 dollars now at walmart. It has Jessica Alba in it. I has a wonderful love story in it with Max and Logan. It is a Sci Fi toon and was only around for two seasons. Oh and bonus it has Jensen Ackles in it, since u are a Dean girl. I will include a video from it. It is about the couple I mentioned. Hope It helps. Also Carnavale, True Blood (My favoriete toon and book series currently), and stargate sg-1 and Atlantis. Kyle xy was pretty ok too. Kyle xy is an ok show. But Dark Angel is really really good. I hope u like it. I thing that u can find full episodes on youtube and the likes. Oh and let me know what u think of Dark Angel. 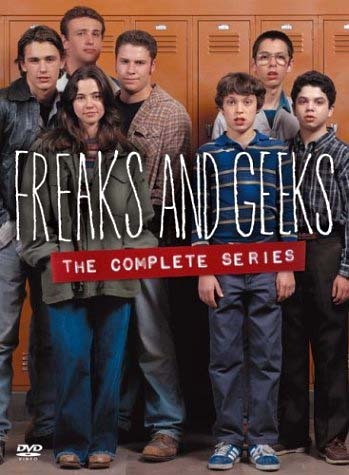 Klema, u should watch Freaks and Geeks! It's basically my #1 toon to recommend to people besides Buffy & Glee. It's just about the most hilarious toon you've ever seen, and filled with comedic geniuses! Seth Rogen is in it, and some other actors u know from your shows: Jason Segel (Marshall in HIMYM), John Francis Daley (Sweets in Bones), Busy Phillips (that blonde lady in Cougar Town). It was evilly cancelled after one season, but it is amazing. I was thinking about watching this show! I love sci-fi so I think I'll like it ;) Thanks! If u like vampires, True Blood is the adult version of the genre, its on HBO so that should give u a pretty good idea of some of the content involved. Having zei that the toon is FANTASTIC!